'saratoga living' Luxury Editor Marco Medrano spends 72 epic hours in The Big Easy. How many American cities can say they’ve legitimately celebrated a tricentennial? OK, maybe a bunch—St. Augustine, FL, was established in 1565, and our very own Albany celebrated 300 years in 1914—but that doesn’t diminish, by any means, the impressiveness of a metropolis reaching the three-century milestone, which, by the way, New Orleans did this past May. Let’s just start this Crescent City story by saying if—no, when—you visit, you’re going to have the best time ever. Especially if you tackle N’awlins (or NOLA or The Big Easy or The City That Care Forgot) the way I did: in total over-the-top, luxe fashion. But even if you dial it back a bit, I can assure you that you’ll find something unforgettable to do or just have the time of your life doing a whole lotta nothing. It’s safe to say that my first visit to the city, which I’m officially dubbing the best American city to travel to in the US, won’t be my last. Having been booked for a five-star NOLA-rific experience twice before actually making the trip, my only regret is that I didn’t get there sooner. 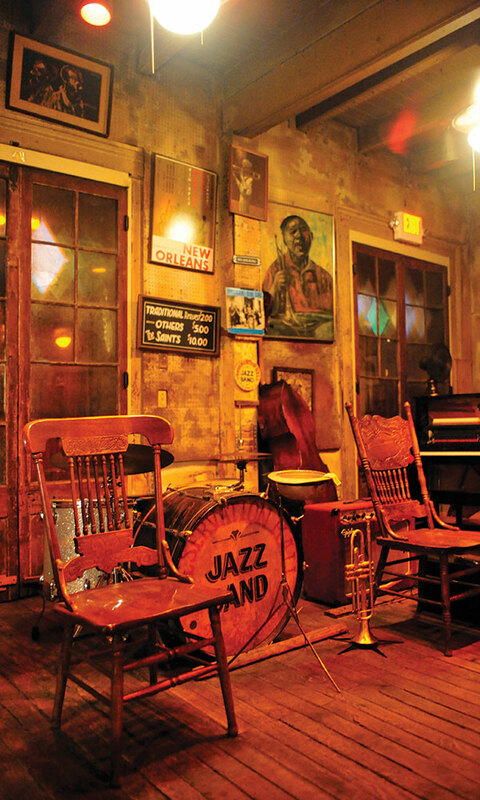 Because while New Orleans is all the black tie, jazzy, bejeweled, champagne cocktail clichés you’ve heard about, it’s also wrapped in a centuries-old formality and topped with a bone-deep pride for hospitality. Really, there must be something in the water, for every hotel representative, Uber driver, bartender and waiter I encountered seemed to have gotten the cordiality memo. People are nice in Cajun country. Overindulgence was certainly a small part of my lifestyle back in the day, so as a responsible adult, I just stayed away from Mardi Gras and New Orleans as a whole. Big. Mistake. Beyond the stumbling, purple and greed bead-clad masses, there’s a whole other world of amenities, exploration and, yes, good ol’ indulgence in NOLA. This destination is one of those magical places where you can ditch your driver, lose your map, wander aimlessly and end up shopping for fine art or negotiating with street fair artisans, walking away (though you’re not quite sure where to) with a white voodoo charm bracelet—something every proper N’awlins tourist needs. This intoxicating city is tailor-made to indulge your whimsical, take-it-as-it-comes, stumble-upon sightseeing desires. It’s impossible to resist. 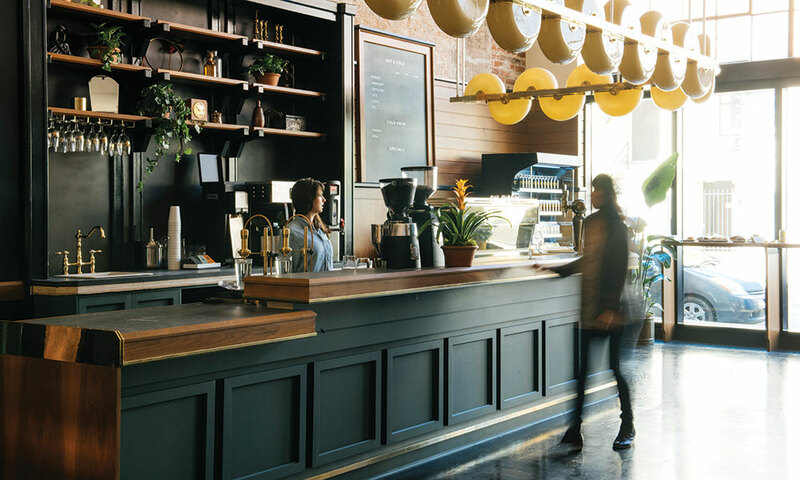 On a sunny and 60-degree November day, you can grab a classic cocktail, get a high-tea pick-me-up along with a barbecue shrimp brioche and buy a turn-of-the-century chandelier, all within feet of one another. Of course, I’m speaking of the French Quarter. Because of its jaw-dropping infamy, I saved a tour of NOLA’s most iconic neighborhood for the last day of my trip, and it left me begging for more time. Being a somewhat curious, if typical, tourist, I got carried away in Marie Laveau’s House of Voodoo, and picked up some positive energy-harnessing knickknacks to give as gifts. Meandering through the Bywater neighborhood is also a must. If you can’t find a piece of art to take home from Studio Be, a 35,000-square-foot warehouse of art, then get out of town! Definitely do lunch at The Country Club, where the slogan “Charmed, I’m sure” surely must’ve been invented. From there, you can stroll through Crescent Park, which from its river-adjacent locale provides a stunning view of the French Quarter and the CBD, or Central Business District, as the city’s Downtown is known. 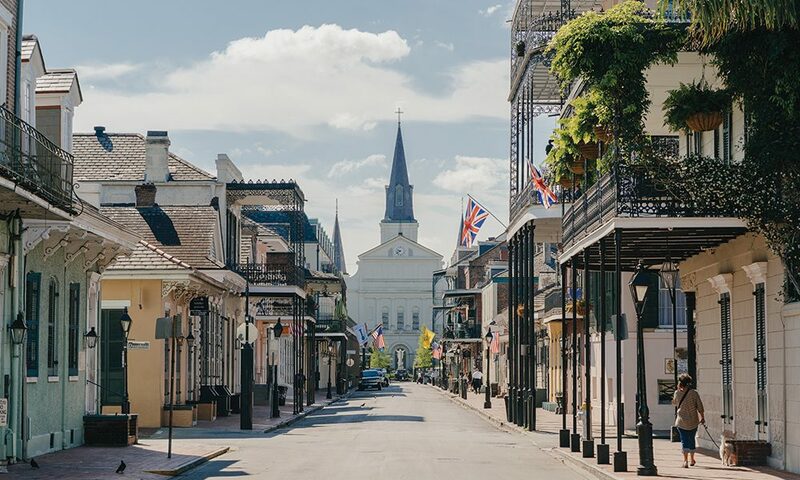 Despite being especially susceptible to the whims of Mother Nature—the city sits ominously at seven feet below sea level—New Orleans has never let go of its deep-rooted graciousness, elegance and class. Such tenacity and resilience! But what about the freedom I felt to enjoy life at every literal turn in the road? Could they be putting something in the cocktails? Every corner, every elevator, every framed piece of art, window dressing, shop placard, uniformed employee and billboard made me realize the sheer effort and thought that has gone into making sure this city endures for another 300 years, and recognize how innovation isn’t edging out the traditional but surrounding it. It’s the city’s developers and patrons, such as Sean Cummings, owner of International House Hotel; art legend Brandan Odums (“BMike”) of Studio Be; and the newest restaurant icon, Nina Compton of Compére Lapin, who are pushing the city to be all it can be, now and in the coming years. Before getting into the city’s hotspots, let’s check in. I, like many, have had to pick and choose my vacation activities wisely due to time restraints. (My epic NOLA adventure lasted a mere 72 hours.) But when pressed for time in a city I don’t yet know, I splurge on lodging that gives me all I need—gym, pool, quick city access and, most importantly, spa—under one roof. That said, my two obvious hotel choices in New Orleans were The Ritz-Carlton and the Windsor Court, which I toggled between, ultimately landing on the latter, the grand dame of all Crescent City resorts. Luxurious, well-staffed, friendly—the Windsor Court checks every box you can think of, and then some, starting with the resort’s in-house digitally guided art walk, featuring fine art lining the walls of the hotel, which solidifies the Windsor Court as more of a luxury travel destination than a place to sleep. I’d highly recommend one of the larger, club-level rooms or suites (though even the smallest studios are so smartly designed you can entertain, host a business guest or call it your home away from home), which reside on the top four floors and get you access to a private lounge that serves a complimentary breakfast, afternoon tea, evening hors d’oeuvres and specialty cocktails. Or, you can opt for one of the Windsor Court’s other dining experiences, such as Café Anglais, the perfect stop for a quick coffee, yogurt parfait or something sweet, whether you’re staying at the hotel or not (imagine stopping at Paris’ Ladurée for a nosh, but with a speed pass and a quick exit to the side street), or Le Salon, the trusted go-to spot for High Tea in the city, pouring on all the delicious grandeur and luxe munchables without (much) pretense. Yet Le Salon is still considered the place to show off that piece of daytime high fashion (don’t forget your hat! ), should you choose full-on see-and-be-seen catwalk mode. Indulge! But the Windsor Court isn’t done wowing us just yet. The legendary Grill Room remains the epitome of iconic places to dine, even for locals, when a date night or special occasion presents itself. Here, the classics—lobster bisque, crab cakes, scallops—are done to perfection. Next up? We’re popping in for a late-night cap at the Polo Club Lounge or catching a heart-stopping, foot-stomping performance by local jazz chanteuse Robin “The Songbird of New Orleans” Barnes. You can’t help but feel like you’re getting away with something: like this—all of this—is just too damn good to be true. The same goes for the food. 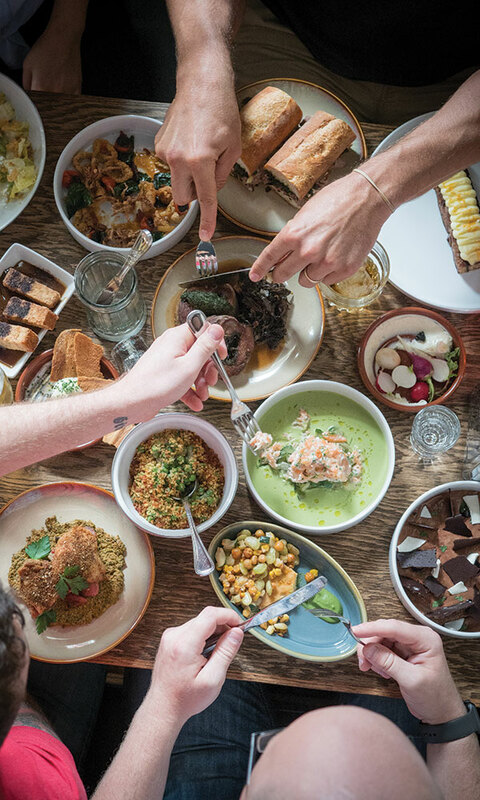 From unassuming ’round-the-corner bars to restaurants where a symphony of tuxedo-clad servers deliver masterpieces to linen tableclothed tables, my weekend’s menu started at absolutely OMG delicious and got better from there. Truly mind-blowing. 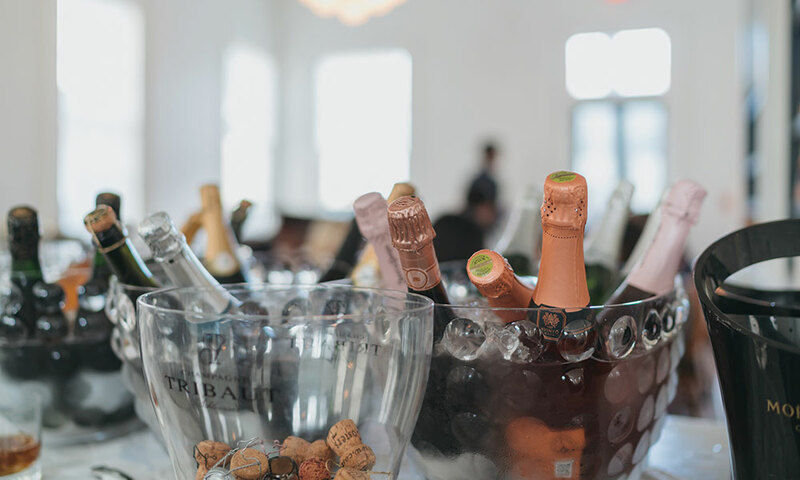 Our first stop on the hit parade was Effervescence, perhaps the most understated city-chic “bubbles & bites” place ever. First, drinks. The champagne bar provides a beautiful and affordable bubbly selection—including my favorite, rosé champagne—and I cherished my “War of the Rosés” flight trio alongside a delectable Gulf Seafood Plateau and a caviar dish with crème fraîche, pepper mashed potato chips, chive sturgeon and a bowfin caviar duo, followed by fried softshell crab. Next was lunch at Longway Tavern, a really nice local hangout—think CEOs and blue-collar repairmen sitting shoulder-to-shoulder watching the New Orleans Saints game—that certainly wasn’t vying for any Elle Decor awards, but presented affordable, delicious dishes that were as elevated as bar food could ever get. It was sublime. Truly next level. Oh, and the cocktails! Longway’s delicious spin on the Moscow Mule washed down the seemingly endless parade of smallish plates, starting with succotash made of chickpea, English pea and mint, summer veggies and whipped tofu, followed by calamari and a mouth-watering salmon confit I’m still dreaming about months later. Prepare to be blown away by Longway Tavern. Honestly, just when I thought it couldn’t get any better, Maypop came into my life. Let me be clear: Please pay extra attention to this section of the story. You’ll thank me later. 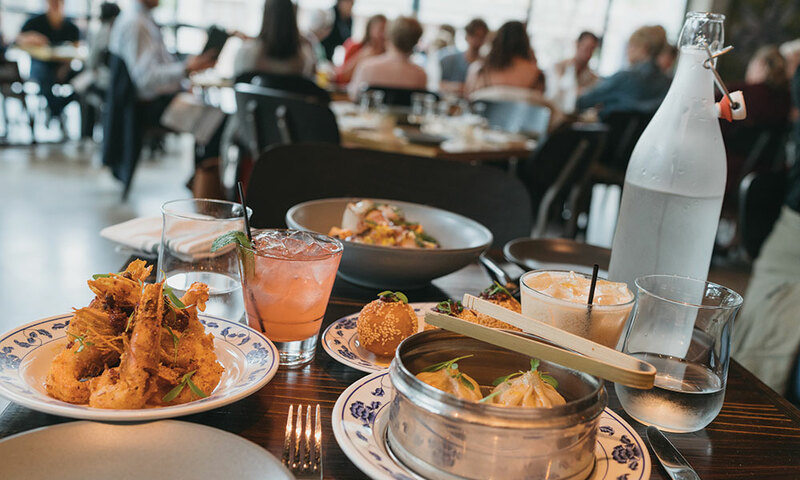 Accurately described as a wonderful collision of Southeast Asian and New Orleanian cuisine by award-winning Chef Michael Gulotta, Maypop’s culinary offerings are some of the most savory sensations you’ll ever experience. The Gulotta’s Rare Roasted Gulf Tuna with Spicy Watermelon will send you! But the dish you’ll literally fly in for? Buttermilk “Hot Chicken” in Vindaloo Curry, a buttermilk-fried hot chicken in a very spicy vindaloo curry over creamy white mac ’n’ cheese, topped with a fried egg, cooked over-easy. There are no words to adequately describe the explosion of flavors in your mouth and the rush of endorphins to your brain. It’s just unbelievable, plain and simple. Run, don’t walk, to Maypop. Thinking I was coming in for a soft landing, dinner at local Celeb Chef Jason Goodenough’s Carrollton Market knocked me for an unexpected (and delicious) loop. My dinner at the bar (served by the planet’s best bartender; loved her) was just as formal as at a table, and so was the cuisine. Not many people do a true, muddled Old Fashioned well. Mine was absolutely perfect. I’m not really an oysters aficionado (as every New Orleans resident seems to be), but Carrollton Market’s “Oysters Goodenough” with flash-fried gulf oysters, Benton’s bacon, creamed leeks and béarnaise sauce was far beyond “good enough,” as was the Pan-Roasted Redfish With Caramelized Summer Squash And Shrimp-Saffron Emulsion. So, so good. Just as impressive as New Orleans’ culinary achievements were my spa experiences in the Crescent City. Starr, my masseuse at The Ritz-Carlton Spa, infused bodywork (on the fly) into my Voodoo Ritual experience using absinthe, cypress, moss, vetiver and incense. Ultra-feminine and petite, Starr’s unexpected strength was better suited for an MMA Octagon cage fight than a high-class NOLA hotel! The Ritz-Carlton Spa’s technique is special, leaving you impossibly relaxed, but energized; peaceful, but alert. Back at home (away from home), The Spa At Windsor Court really impressed me. I can always identify a stellar establishment by its retail selections, and Spa Director Sharla Martin nailed it with her cherry-picked regimens and luxury skincare and anti-aging accessories—such as Tata Harper organic skincare, Oribe Hair Care, Naturopathica and NuFace microcurrent—that make you wish you brought an extra suitcase. The spa’s namesake custom blends are equally luxe, and the microderm, LED and oxygen facial I received was hyper-plumping and smoothing. I celebrated my spa day by taking my best selfie ever! In truth, it was the introduction this spa gave me to custom-blended UMA Pure Energy Wellness Oil that kept me joyfully writing this story late into the night. What can I say? I’m all about New Orleans, easily the best destination to escape to while still feeling right at home. Marco Medrano is Luxury Editor at saratoga living. As a beauty expert, Medrano is a frequent contributor to The Huffington Post and was previously Beauty/Spa/Travel Editor at ELLIMAN, Now It Counts and HudsonMOD.